Nominated in the Publication category of the Scottish Design Awards, ‘a far-off land’ by Alec Finlay for Macmillan Cancer Support explores the memory of landscapes as a fond illness-companion. 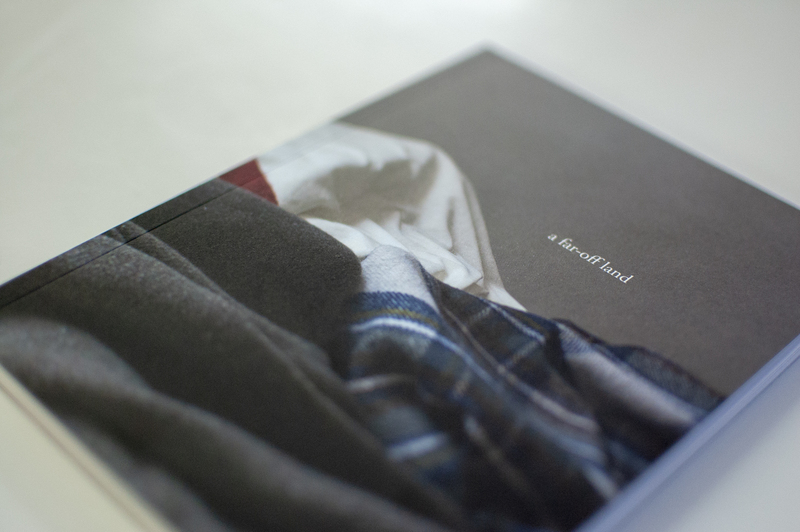 A far-off land is a book of photography by Hannah Devereux poems by Alec Finlay exploring place-names and their meanings – commissioned for the new Macmillan Cancer Support Day Unit in Arbroath. The photography remembers childhood illness, where bedding becomes an imaginative landscape – with scenes suggestive of the glens of Angus. The book is based on the thought that the memory of the landscape remains fond and healing, even when it cannot easily be accessed, whether through illness or people coming to the end of life. To find out more about the award-winning work we do at StudioLR, please get in touch.